Furniture goes separately from the dollhouse. Wooden furniture 100% handmade. 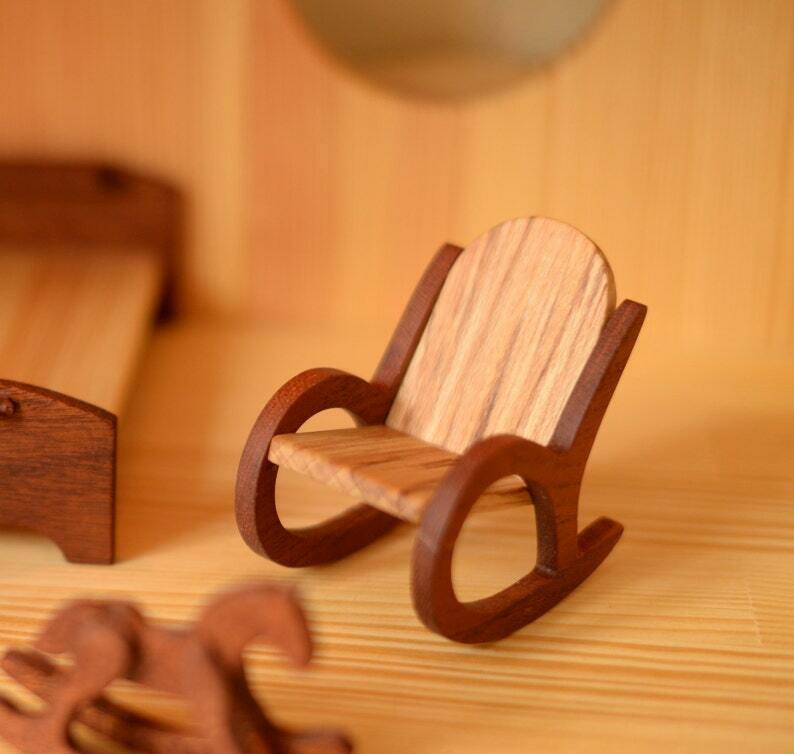 Made of natural wood beech wood, mahogany wood, pine wood..
Good for dolls sized 10-12cm. Suitable for Sylvanian type toys, Amigurumi, etc.